Sunlight reflecting off the bark of the giant sequoia in the foreground illuminates the background tree, but only for a few minutes. I was fascinated by the variety of colors, textures and scars in the bark of these trees when viewed up close. 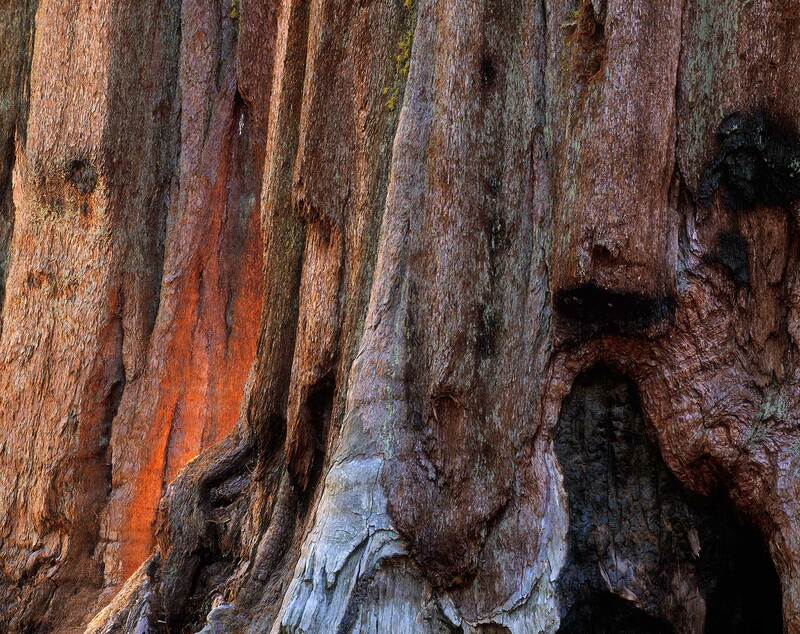 I wonder what stories these ancient patriarchs could tell.